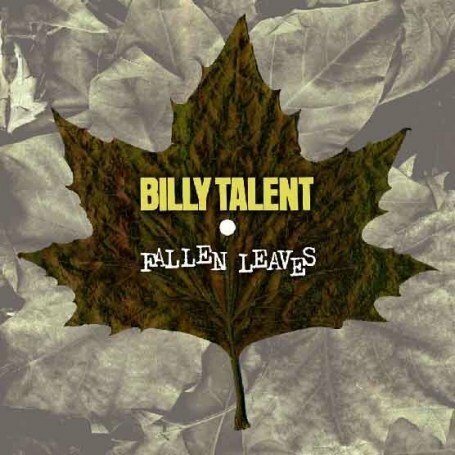 Fallen Leaves by Billy Talent from their 2006 album Billy Talent II. It's one of those songs everybody's heard at some point, I think I was quite into the band for a bit, and seem to remember seeing them briefly at Reading Festival... in 2009..? Maybe. Fallen Leaves' definitive spiky opening riff makes way for Ben Kowalewicz's (the band's frontman, not, regrettably, named Billy Talent as I had always erroneously presumed) equally bristly angst-ridden vocals, before a burly power chord rhythm kicks-in sustaining the song through the verses and chorus until the song climaxes in a brief but punchy guitar solo. If the song is indeed dealing with 'fallen leaves', they would, I imagine, be leaves of a most unpleasant and vexing variety, as they appear to have angered the band to the point of feeling obligated to compose a musical testament to their foliage-fuelled rage. For fans 'Punk' Pop Rock of the likes of Green Day and Sum 41.